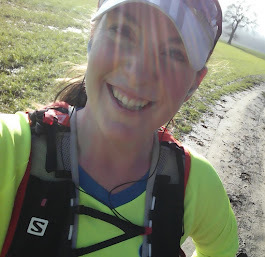 These days I call myself a runner...: Will I never learn?! Despite the fact that this happens every time I return to running after a break, I think i've increased my mileage too quickly over the last couple of weeks and all day I've had some niggling pains in both of my ankles, which have always been my "weak points", and prone to injury. This is not good!! Just as I get back on track and feel positive and motivated, about both my training and my diet, something else goes wrong...and it's entirely my own fault. I decided not to run this evening, and will wear supports on my ankles tomorrow - I'll probably still go out in the evening but may not do the 6 miles I'm planning. I think I might also have to re-evaluate my expectation of reaching 1000 miles this year. If I achieve it, but at the expense of causing myself an injury (rather than a bit of niggly pain that with a bit of rest I'm sure will resolve), I will jeopardise my 2012 marathon and ultra targets, and to be honest, they are more important than the 1000 miles. I mustn't let myself get too annoyed...or too worried. I am sure that if I take the next couple of days carefully, and reduce my total weekly percentage increases (yes, I know, should stick to 10%...but that just seems so low, maybe 15% will be ok!) I'll be absolutely fine. But it amazes me that I've let this happen again! I hear you, I am nursing a bad ankle after doing 2 marathons a week apart. Rolled it ever so lightly a week before my marathon, and it did not bother me then, but a month after my second marathon, it's bothering me!